The da Vinci Mini Wireless 3D Printer by XYZprinting offers a simple, single-button print design with an ecologically friendly focus. With an incredibly low cost of entry, the da Vinci Mini 3D Printer is not only a great starting point for getting into 3D printing, but a great choice for the environmentally conscious. The da Vinci Mini Wireless 3D Printer exclusively uses XYZprinting’s bio-compostable, non-toxic PLA filament. Made from materials like corn starch and sugarcane, this filament is free from heavy metals and DEHP. XYZprinting’s da Vinci Wireless 3D Printer is a wonderful budget-friendly starting point for those looking to get into 3D printing. 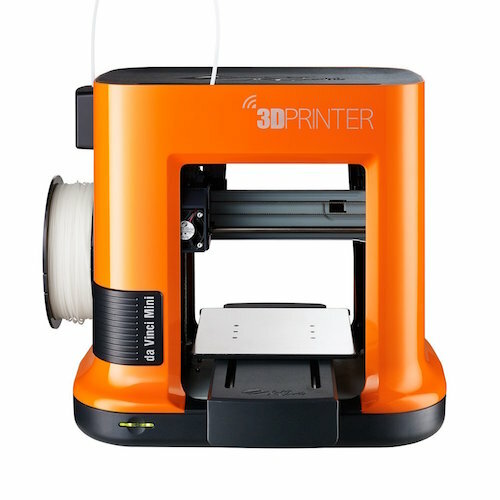 With a 6 cubic inch build size and colorful design, the da Vinci connects via WiFi, includes easy to use XYZmaker software with over 5000 models to print, and intuitive auto-calibration. 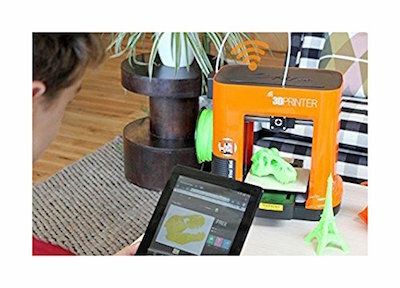 In addition to XYZmaker, the da Vinci Wireless 3D Printer includes access to XYZprinting STEAM, which is developed to give K-12 S.T.E.M. and arts educators the ability to incorporate 3D printing into their teachings. Compared to the da Vinci Jr. 1.0, the new da Vinci Mini wireless 3d printer is 30 percent smaller than the 1.0. For larger and finer prints, the mini has a 5.9 inch x 5.9 inch x 5.9 inch aluminum print bed. Have you used the Da Vinci Mini Wireless 3D Printer? Please comment and let the 3Dengr community know your thoughts, rating, or review on this 3d printer. Be sure to check out some of our other overviews of 3d printers on this site.